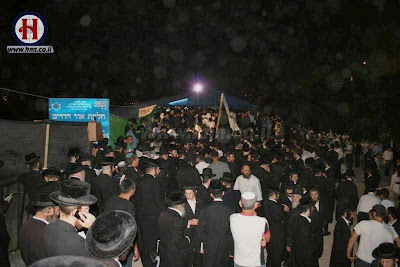 I must report that this post is late due to the fact that I visited the Ohr HaChaim’s kever on Thursday night, which was packed with visitors [more pictures like the one above at HNN]. On sale there was a newly-printed edition of Rishon LeTzion, the Ohr HaChaim’s wonderful commentary on Nach [Neviim and Kesuvim]. Translated and freely adapted by Yrachmiel Tilles from Echyeh v’Asapeir, pp. 145-146. The wheel of fortune had taken a downward turn for a once-wealthy Jew who lived in the Moroccan city of Rabat. He was forced to leave home and wander from city to city and town to town, in search of an appropriate business opportunity that would enable him to support the large extended family that had come to depend on him. His faith in the One that provides all was strong, but still, the forging of a receptacle for the Almighty's blessing was proving to be difficult. Finally, after several failed attempts, he succeeded in amassing a significant amount of money. Now he would be able to return home. Indeed, as soon as his friend saw him, he insisted that his surprise guest remain for Shabbat. The weary traveler accepted the invitation happily. Before candle lighting, he gave his money pouch to his host for safekeeping, so that he wouldn’t have to worry about it during the Day of Rest. By Saturday night, the traveler was anxious to reach home. Immediately after Havdala, he requested his money pouch back from his friend. "What are you talking about?” denied his host. “You never left any money with me." The stunned guest could not believe his ears. He almost fainted. When he recovered his senses, he begged his (former) friend to return to him the money he had labored so long and hard for, and that was critical to his family’s survival. The host blew up. "You have some nerve!" he yelled. "Aren’t you embarrassed? You slept in my house, you ate at my table, and now you dare hurl at me these false accusations!" Seeing the 'righteous' indignation on his host’s face, the man realized there was no chance that this conniver would admit what he had done and give back the money willingly. He decided he had better go right away to make a claim at Beis Din (rabbinical court). The Rabbi of Sali at the time was the famous Ohr HaChaim, Rabbi Chaim ibn Atar. The two men went to his house. Rabbi Chaim listened carefully to both sides. He then addressed the host: "This Jew claims the money that he says he deposited with you on Erev Shabbat. What do you say?" "It never happened," the man answered glibly. "He is making it up and slandering me." The traveler was shocked when it sunk in what the rabbi wanted him to do, but being well aware of the Ohr HaChaim’s reputation as a miracle-worker, he stood up and left the house, without questioning the great rabbi’s instructions. 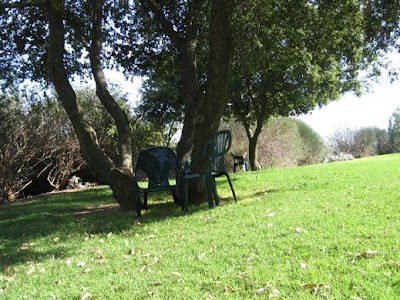 After just a few minutes, the Ohr HaChaim remarked, casually, that for sure the man has already reached the tree. With a hard stare right at the man’s eyes, the Ohr HaChaim declared: "Give that poor innocent Jew his money back, right now!" Seeing the surprise on the man’s face, the Rabbi stroked his beard and added: "If you didn’t receive the money from him under that tree, how is it that you know where the tree is?!" After he finally reached home, the merchant utilized most of his hard-earned savings for wise investments, and with G-d’s help became wealthy again as he had been once before. Zechuso yagein Aleinu v'al Kol Yisrael - May the Ohr HaChaim's merits protect us all!